On January 31, 1967 The Beatles went to Knole Park to make the promotional film/video for the song Strawberry Fields Forever. It was there that John Lennon walked into an antique shop and basically bought a song. 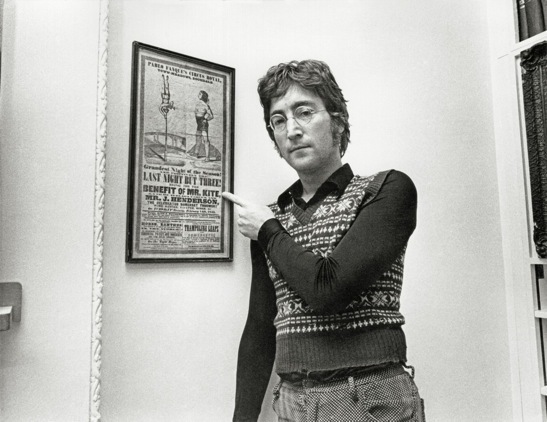 John spotted a framed Victorian Circus poster from an event that happened 124 years earlier on Tuesday Evening, February 14, 1843. 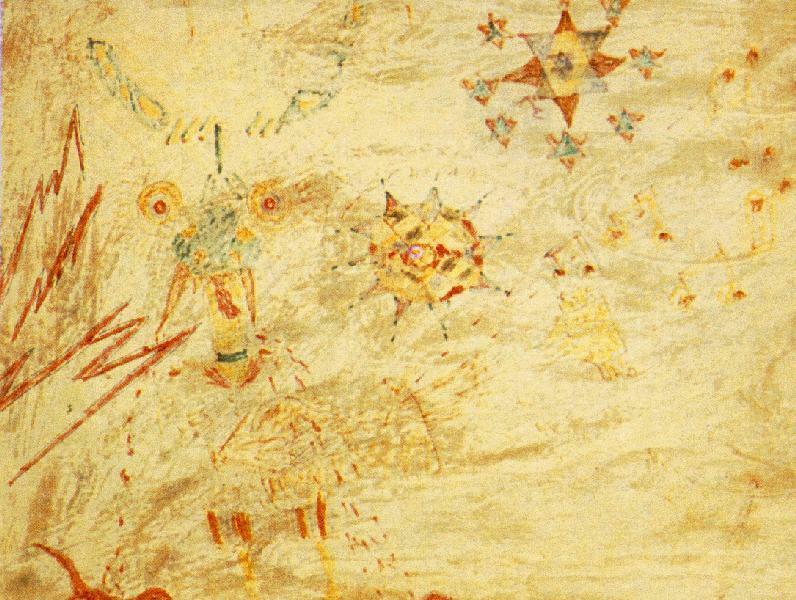 Inspired by the names on the poster, he put together some lyrics and on February 17, 1967 “Being The Benefit Of Mr. Kite” was recorded at EMI Studio Two. This paper below is Lennon’s original lyric sheet that was put up for auction. 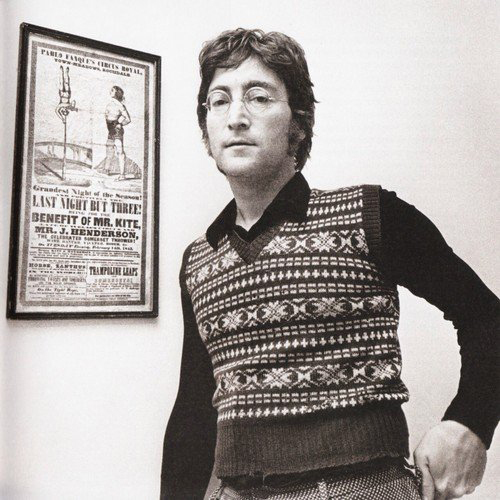 Lennon was right as the poster idenitifies the horse as “Zanthus” not Henry but there were a few other discrepancies in the lyrics and the poster that he did not mention. 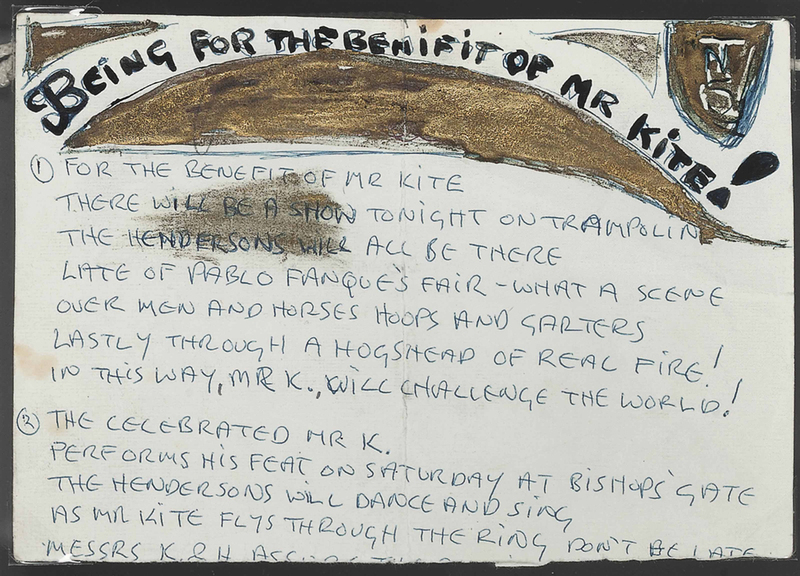 Mr Henderson, rather than Mr. Kite, promised to challenge the world. Here’s the written text from the poster. AND POSITIVELY THE LAST NIGHT BUT THREE! Mssrs. KITE and HENDERSON, in announcing the following Entertainments ensure the Public that this Night’s Production will be one of the most splendid ever produced in this Town, having been some days in preparation. Well known to be one of the best Broke Horses IN THE WORLD!!! “Mr. Kite” – William Kite, son of circus proprietor James Kite, and an all-round performer. The poster shows Mr. Kite balancing, head down, on top of a pole, playing a trumpet. 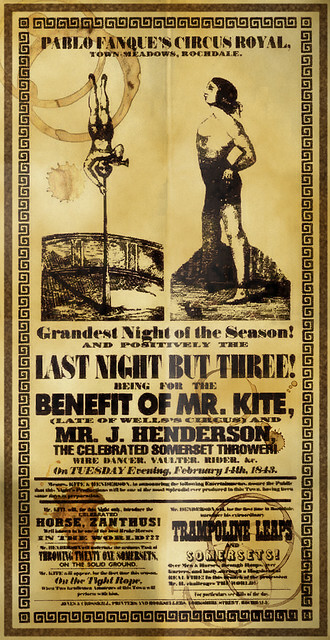 Mr Kite was also riding master for Pablo Fanque at this time. He is believed to have worked in Pablo Fanque’s Circus from 1843 to 1845. 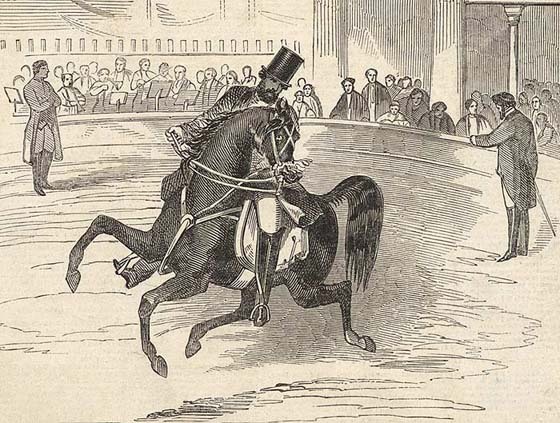 Pablo Fanque – Britain’s first black circus owner. 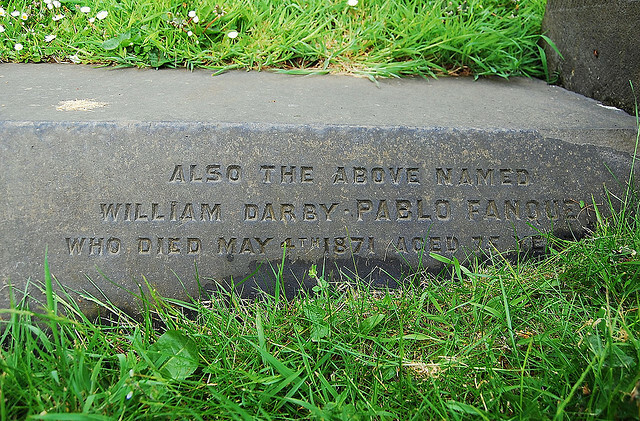 He was born William Darby in 1796, died in 1871 and was buried Woodhouse Cemetery. Below you will find a photo of his grave courtesy of Phil Dawson © phill.d. The Henderson’s – John and his wife Agnes were wire-walker, equestrian, tramplinist and clowns. The Henderson’s traveled all over Europe and Russia during the 1840’s and 1850’s.